Protect Your Joints with Yin Yoga! As we age one of the areas most affected in the body is the joints. Stiffness, popping, cracking soreness and pain are all common symptoms felt in the joints. Even those who exercise often may not be focusing as much on the joints and can experience the same symptoms. Something can be done! Yin Yoga is a slower, calmer method of yoga that targets the joints, ligaments and fascia tissue in the body. It is a natural, non-pharmaceutical method of rejuvenating your joints! Most of us are more familiar with the Yang style of yoga which is faster paced and focuses on strengthening, stretching, and sweating. Yang yoga reigns over the muscular body. Vinyasa, Ashtanga, Bikram, Power, and many forms of Hatha are all considered Yang Yoga. 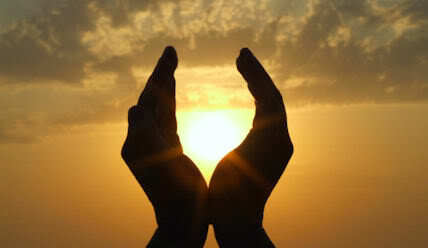 Because of its warm, active qualities, Yang is most often associated with the sun; therefore, a solar practice. Yin Yoga is concerned with the cooler, slower aspects. Yin yoga separates itself from muscular practice and settles into the firmer, less flexible areas of the body. The deeper, internal practice of Yin is often linked with the Moon, a lunar practice. Of course no practice is exclusively Yin or Yang, you will always use the joint tissue in a Yang practice, and some muscular energy in a Yin, but the primary focus is different. 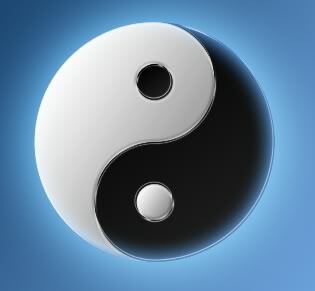 Just like the Yin Yang symbol there is a tiny bit of one style in the heart of its opposite. Learn How to Perform Yin Yoga at Home! Move into the pose SLOWLY and to your first edge – Since you are working with ligament tissue that is not as flexible, it is important to be gentle when going into the postures. You will be holding the pose for several minutes, so start at your initial point of sensation. Relax your muscles – Muscles protect the joints, so you will need to relax all the muscles around a joint to access the deeper tissues. Remain still in the pose – Since fascia and joint tissue is rather inflexible you will have to hold still in the pose to give the tissues a chance to relax open. Stay in the pose for several minutes – Inflexible tissues need extra time of gentle pressure to really be worked. Be patient – it is worth it! What Are Some Examples of Yin Yoga Postures?